In the application of the 13.5-nm extreme ultraviolet (EUV) collector optics of the discharge produced plasma (DPP) source, the Wolter-I structure based on the X-ray grazing incidence optical design is usually adopted. The requirement of the surface roughness of this collector optics is demanding, which should reach to several nanometers. Currently, the mandrel replication is the main fabrication technology of this collector optics. Obviously, the requirement of the surface roughness of the mandrel used for the replication process should reach to the same level of the collector optics. However, the fabrication of the Wolter-I mandrel with high surface quality requirement still faces great challenge. In this paper, we propose a method that applies an elastic spherical tool to polish the surface of the Wolter-I mandrel, in which the shape of the elastic sphere can be changed relatively easily to accommodate the aspherical surface of the Wolter-I mandrel. A mathematical model regarding the movement trace of the polishing tool was established. Based on this model, the contact force between the polishing sphere and the aspherical surface can be controlled to point from the center of the polishing sphere in the normal direction to the polishing point. The influence of the polishing parameters on the material removal thicknesses is simulated and analyzed. The polishing experiments of ellipsoid and hyperboloid are carried out considering the difference of the diameter of each radial section on the Wolter-I mandrel surface. The proposed method is proved to reduce the surface roughness of the mandrel coated with chemically deposited nickel-phosphorous (NiP) alloy after diamond turning effectively. The root mean square (RMS) roughness of the mandrel surface after polishing can be reduced to 1.56 nm. It indicates that this method is suitable for further polishing of nickel-plated Wolter-I mandrel after ultra-precision turning. 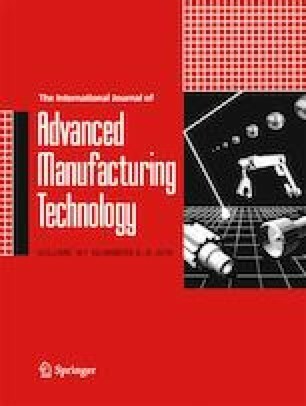 As a result, the manufacturing precision and efficiency of the Wolter-I mandrels can be improved by using the proposed polishing approach in this study, and the manufacturing cost can be reduced accordingly. We gratefully acknowledge Doctor Jinghe Wang, Shusen Guo, and Engineer Qiang Zhang for their technical assistance in the process of machining and measuring the workpiece. We thank Accdon for its linguistic assistance during the preparation of this manuscript. This work was supported by a grant from the major project of high-grade CNC machine tool and fundamental manufacturing equipment science and technology (No. 2011ZX04004-031).